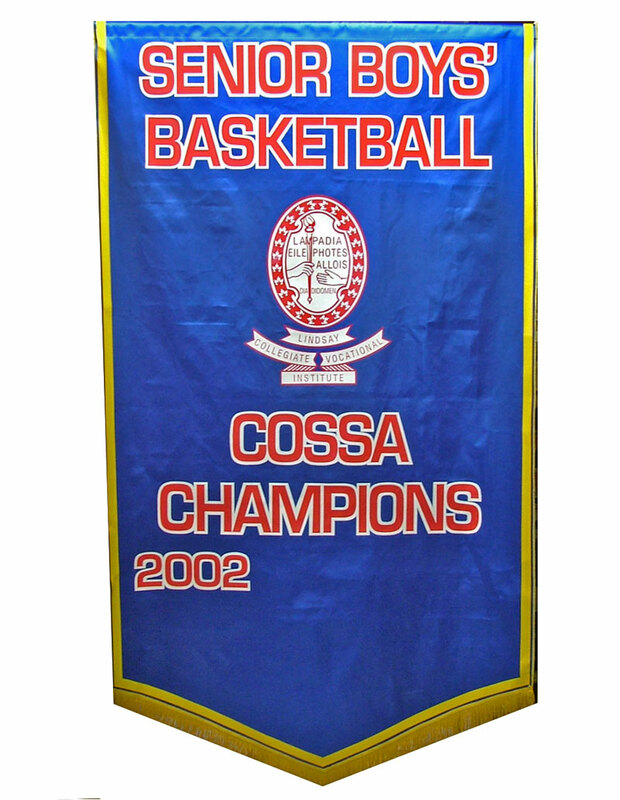 A great and popular item for full recognition in Gymnasiums and Arenas. Custom made on premises to ensure top quality, meticulous quality and quick turn- around time. Made from a choice of Vinyl, Felt or Tackle Twill in a full range of background and print colours. Banners are made to customer specifications. Submit a rough sketch indicating size, colours and a quote will be supplied. Other sizes also available.